How would you live your life if you knew the exact date you would die? In 1969, the four children of Gertie and Saul Gold— Vayra (13), Daniel (11), Klara (9), and Simon (7)—spend what may be their last summer together in the heat of New York City’s Lower East Side. When they hear about a traveling psychic who can tell them the day they will die, they cannot resist the draw to go to her. 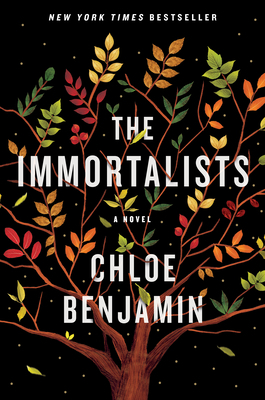 The Immortalists is the story of this family, each of the four siblings, their lives and deaths, and the love that binds them together. It is told against the background of our own history and weaves Jewish heritage and traditions seamlessly into the story narrative. It is a moving journey through life’s choices, the acceptance of who you are, and ultimately, what is most important in life. This is an exceptional book and I cannot recommend it highly enough.